Rainforests contain about half of the existing plant and animal species in the world. They contain a third of the world’s bird species and 90% of its invertebrates. The remaining African rainforests contain more animals and plant species than are found anywhere else on the continent. In just one year in 2006, 19 new species of lemur were officially recorded in Madagascar. In 2.5 acres of the Amazon there could be 300 different tree species, compared to the 40 found in the whole of the UK! 2.5 acres may also contain over 750 types of trees and 1500 species of higher plants. Hundreds of rainforest plants are used in modern medicines. It is estimated that 25% of all our medicines come from plants growing in the rainforest. For example, Vincristine, a drug taken from the rosy periwinkle of Madagascar has allowed an 80% remission rate for some forms of childhood leukaemia. Curare, a poison used by Amazonian Indians on arrow tips can be used as a muscle relaxant if given in small doses. Only about 1% of the plant species have been studied, so potentially there could be many more cures to illnesses waiting to be discovered. In Madagascar, 80% of the plant species are endemic - that means they are not found any where else on earth. Yet 2/3 of their forest has already been destroyed. With 20% of all the world’s plants under threat of extinction, Kew Gardens in London is taking DNA samples, in case the plants and their benefits are lost. An estimated 80% of the world’s diet originated from rainforest plants. Many food sources are still being discovered in rainforests. The 'peach palm' of Brazil produces up to 300 peach-like fruits a season. The fruit has twice the food value of banana and more protein and carbohydrate than maize. Rainforests have been known as the “lungs of the world” due to their contribution in providing about 20% of the world’s oxygen. The forests and soil also lock away carbon, an important function, especially in this age when humans are causing so much carbon dioxide to be released into the atmosphere through, for example, transport and fossil fuel power stations. In fact they absorb about 20% of the world's man-made carbon dioxide emissions. During heavy downpours, the mass of vegetation in the rainforest catches and holds much of the rain, then 'disposes' of it through evaporation and transpiration; it acts like a bog umbrella breaking the force of the rain and protecting the ground surface. Where trees are cut down in large numbers, this natural protection is removed, soil erosion increases and minerals are washed away. Trees also help to control the amount of water that is held in the soil. In areas around the world where forests have been felled, the rainfall patterns have changed. In some places, the rains have almost stopped falling, and in others, flooding has been caused. In South East Asia and the Pacific Islands, people have lived in the forests for about 40,000 years, but the earliest signs of human settlement in African forests are no more than 3,000 years old. There are about 1,000 indigenous tribes in the rainforests of the world. Rainforest tribes have managed to develop ways of life which allow them to use the forest without destroying it. 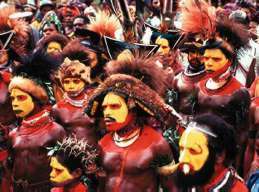 Whilst other civilisations have grown further and further from the natural world, these tribes have had to grow close to nature in order to survive. European settlers have caused many of these tribes to be wiped out due to their lack of immunity to Western diseases. They now face a new threat as big logging, plantation, oil and hyrdoelectric companies try to force them off their traditional lands, often using violence. Millions of indigenous people depend on rainforests for their survival and over a billion make their livelihoods from its products. See our fact sheet Rainforest Tribes below for more information. Before humans started destroying the rainforests, they covered 15% of the Earth's land area, today, they cover only 6%. In the last 200 years, the total area of rainforest has decreased from 1,500 million hectares to less than 800 million hectares. (One hectare is equivalent to the area covered by two football pitches). In just the last 50 years, one third of tropical rainforests have been destroyed, 46-58 thousand square miles of forest are lost each year. The disappearance of the forest is called deforestation. As populations have grown and demands for land and timber have grown greater, so the deforestation has accelerated. Current rates of deforestation amount to about 6 million hectares a year. That about 8.5 million football pitches. Rainforests are the world's most spectacular ecosystems. An ecosystem is not just the plants, but also the birds, mammals, reptiles, fish, amphibians, invertebrates, bacteria, and even the non-living elements like soil, water and air. In some cases their climates have remained stable for the last 65 million years. This means that they have developed arrays of life unequalled by any other ecosystems on the planet. The destruction of the rainforests will affect other ecosystems throughout the world. Humans have cut down trees for thousands of years, yet concern over deforestation is fairly recent. The rate at which the forests have been cleared has accelerated during the latter part of the 20th and into the 21st century. Since the end of the Second World War about half the world's rainforest has been felled. Gradually, the rainforest has gained the attention of the worldwide media, making most of us aware of the problems. 1) The growth of populations in countries with rainforest. 2) An increase in worldwide demand for tropical hardwoods has put a greater strain on the rainforests. 3) Cattle Grazing in South America. 4) Soya plantations in South America. 5) Palm oil plantations in Indonesia. 7) Hydroelectric dams in South America. Fortunes can be made in the rainforest. Hardwoods like mahogany and teak are very valuable, and can be sold for a great profit. The money that can be made is only available in the short-term. Once an area of forest is cleared, it will probably never recover. When a 35 metre tree is felled, it can crush up to 17 smaller trees as it crashes to the ground. There may be only two or three commercially viable trees in an area of forest the size of two football pitches. Trees are also cut down for wood pulp, which until recently came only from softwoods like Canadian conifers. The pulp is used to make paper. In West Africa, almost 90% of the rainforest has been destroyed and now the logging is spreading to Central Africa. Road building through rainforests is another problem, making illegal logging and the poaching of animals much easier. In Africa apes such as gorillas and other animals are hunted for bushmeat to be sold by roadsides and in the markets. Many apes are vulnerable to diseases. An estimated 70 - 80% of logging in Brazil and Indonesia is illegal. About 1/10 of wood used in the timber trade worldwide is illegal. To avoid buying this wood in the UK, the most recognised and trustworthy standard is the Forestry Stewardship Council logo on wood and paper products which ensures the source was from sustainably managed forests. Brazil is the world’s largest exporter of beef with more cattle (204 million) than people (200 million in 2013)! After logging and/or burning of the rainforest, cleared land is sold to local farmers for cattle grazing. 80% of deforested areas in Brazil are used for cattle ranching and are the greatest source of carbon emissions in Brazil. Not only that but the cattle naturally produce large quantities of methane, another “greenhouse gas” approximately 26 times more effective than CO2. Most of the beef in the UK is not sourced from Brazil. However, livestock can still be indirectly responsible for rainforest destruction since intensively farmed animals in the UK are fed a high protein plant called soya. China, with its growing demands for beef has in recent years become the largest consumer of soya from Brazil. Most of the world's soya comes from South America where areas of rainforest, as well as other habitats like the savannahs have been planted with this crop. At first the land may be very productive. 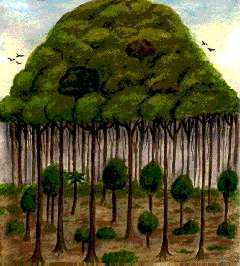 However, in any rainforest it is only the top layer of soil, known as the “topsoil” that is fertile. Eventually the good topsoil will be washed away by the rains within three or four years and the area may become a desert. Otherwise farmers may resort to using more and more fertilizers and pesticides which bring with them their own problems such as the pollution of rivers. Soy plants may also be genetically modified - still a controversial issue. Have you heard of palm oil? How about vegetable oil or olive oil? Oils from plants, vegetables, seeds and nuts have been used for centuries all over the world for many different foods and products. Oil palms are palm trees which grow hundreds of little orange/red fruits that are squashed, squeezed and pulped to produce palm oil. It is estimated that 33% of all the products in your local supermarket contain palm oil - that’s a lot of products! It is used in bread, cereals, chocolates, pizzas, cleaning products, chewing gum and even shampoo. Sometimes land is cleared so that it can be replanted with valuable cash crops such as the oil palm plant, which produces palm oil. It can also be used as a biofuel instead of petrol or diesel. Indonesia produces 90% of the world's palm oil and aims to double its production by 2020. Palm oil production is such a huge business in Malaysia and Indonesia that the latter has gained the title of “World’s Fastest Rainforest Destroyer” in the Guiness Book of World Records! Valuable trees are harvested and the rest are burnt to clear the land for the farming of palm oil. As the soil’s fertility does not last forever, the people at the head of logging companies avoid bankruptcy by buying up new areas of forest. Burning the trees and the peatlands beneath them is highly polluting (see below) although the ash improves the soil’s fertility before planting. In burning the rainforests Indonesia is also burning the peatlands below which store masses of carbon. Their peatlands cover just 0.1% of the earth’s land, yet contribute to 4% of the world’s greenhouse gases. This makes Indonesia the country with the 3rd largest carbon footprint in the world, when deforestation is taken into account! Bio-fuel targets in Europe mean that demand for palm oil is set to increase, despite the fact that more pollution is caused producing bio-fuels than is saved by not using petrol and diesel. Cats, dogs, pigs, cows and goldfish. Some are pets, some are farm animals which provide us with food or milk, but one thing they do have in common - they are contributing to the destruction of Asia’s rainforests. At the centre of the oil palm fruits, much like a nectarine, there is a stone, or ‘kernel’ and this is chopped and mashed up to produce the high protein ingredient palm kernel meal. All the way from Asia, pets all over the country are eating food containing palm kernel meal. Imported products are products grown or made in other countries and then shipped to the UK, the opposite of this is exports - products made in the UK and sent to other countries. Many of the food companies importing palm oil for use in our foods choose ‘sustainable’ sources which means that more care and responsibility is taken and areas rich in wildlife and animals are protected. But when it comes to the palm kernel meal used in pet food there’s a different story. The UK uses a considerable 10% of the global supply in palm kernel meal, and 80% of this is used in animal feed. The problem is that 0% of the ingredient is sourced from sustainable sources, which means that farmers could be destroying the most species-rich rainforests in the world. One victim of palm oil plantations is the orangutan. Sadly, experts believe deforestation for palm oil is the single greatest threat to orangutans in the wild. The Sumatran Orangutan is listed as “critically endangered” and the Bornean Orangutan as “endangered”. According to the IUCN, over the last ten years their numbers have halved and up to 5000 are killed every year, despite their status as protected species. See our orangutan factsheet below for more information. In Britain we destroyed our ancient forests thousands of years ago and used the land for farming. But we now know more about the important role that forests, especially rainforests play. It is also the case that with the example of soya, it doesn’t usually benefit the local people who are often violently forced off their lands and then sometimes forced to work on the plantations. The soya companies are often owned by foreigners, who are there to make money, so it does nothing to benefit the local people and their economic situation. In a way Europe is contributing to the rainforests’ destruction as nearly a third of Brazil’s soy bean harvest is exported to Europe including Britain where 78% of the soya beans are imported form Brazil. 97% of the soya meal produced worldwide is used for animal feed and much of that is not sustainably produced. Beneath rainforests there often lies a wealth of natural resources in the form of mineral and gold deposits. These are a great source of income for many countries, such as in Indonesia where mineral deposits form 19% of their exports. Often people involved in small scale gold mining use mercury to extract the gold. Mercury is banned in Indonesia but is readily available for purchase by individuals. As well as damaging people's health, the mercury used goes on to pollute river systems and is the second-worse source of mercury pollution in the world, after the burning of fossil fuels. Large areas of forest in Indonesia are protected by law against any prospecting or open cast mining, although new rules do allow underground mining in protected areas. Once roads are built to reach the mines, it becomes easier for illegal logging and poaching to take place. Brazil has the world's largest iron ore mine and has rich reserves of other metals such as zinc, nickel, tin and aluminium. It is possible that some of its forests may be opened up for mineral exploration. This renewable “green” source of energy, ironically is to blame for some environmental destruction, for example in the Amazon when the Tucuri dam was built. The Amazon river is the second longest in the world and with its many tributaries it is a source of energy which could be harnessed. Brazil suffered an energy crisis in 2006 and is keen to develop this source of power. Unfortunately, the building of hydro-electric dams often results in major flooding which harms wildlife and can change the eco-system of the river downstream. Wood rotting underwater also releases carbon dioxide and methane greenhouse gases. The Xingu river is the site of the world's third largest hydro-electric dam, the Belo Monte project where 310 square miles (500 square km) will be flooded. Many indigenous people such as the Kayapo Indians are concerned about the potential loss of land. The construction is currently well underway, with a scheduled completion date in 2019. The big companies and governments who propose these developments of the rainforest usually offer incentives for the affected people such as jobs, schools and clinics. Many feel this is a good exchange and may improve their standard of living, although the reality can be far from that. In many cases, promised compensation is not delivered. The destruction of the rainforest could affect the world's climate. During the day, the rainforests absorb huge amounts of carbon dioxide from the air to make food in a process called photosynthesis. A by-product of photosynthesis is oxygen. Tropical rainforests absorb about 20% of the world’s man-made carbon dioxide emissions. On the contrary, burning the rainforest is like creating a huge bonfire, throwing massive amounts of carbon dioxide into the atmosphere. Carbon dioxide or CO2 is a 'greenhouse gas', which helps to retain the heat of the sun within the Earth's atmosphere. Tropical deforestation contributes 17% of the world’s annual greenhouse gas emissions. By burning the rainforest, we are not only adding huge amounts of CO2 to the atmosphere, but we are also reducing nature's ability to absorb CO2 and to produce oxygen. 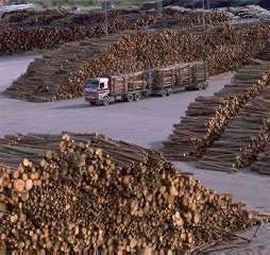 The more the rainforests are cut down and burned, the more the 'lungs' of the earth will be damaged. Deforestation is responsibly for more global carbon emissions than all the planes, trains, buses and cars in the world put together! Indonesia is already the world’s third highest emitter of carbon dioxide after the USA and China because of the burning of its rainforests and peat lands to clear areas for growing palm oil. Rainforests also help to transport huge volumes of water vapour through the atmosphere in 'flying rivers'. Water falls on the rainforests, is absorbed by the trees and then evaporated from their leaves in a process called transpiration. When the trees are removed, the flying rivers stop flowing. Can the Rainforests Be Replaced? Ground Layer - only fungi and a few ferns survive in the gloom. Understorey/Shrub Layer - young trees, shrubs, creepers and tall herbs struggle to grow in the dimness. Canopy - a tangled mass of branches, leaves, buds, flowers and fruit, home to many animals. Emergents - here and there, the tallest trees poke above the canopy. The trees, animals and soil have had millions of years to adapt to a set of very special conditions, and each species has a special "niche" in the overall structure. The soil is almost infertile. It can be over 100 million years old, so all of the mineral nutrients have been washed away. The plants are adapted to collecting minerals from the air and from rain. If the trees are removed, the soil is quickly washed away. There may be only one tree of a certain species in two acres of forest. Seeds do not germinate easily and do not survive long on the forest floor. Conserving rainforests is, and will probably continue to be, an extremely difficult challenge. The countries with rainforests are trying to cope with their immediate problems, brought about by population increase and enormous debts to the World Bank, so they have little time to think about the long-term effects of removing the forests. A shortage of money prevents these countries from carrying out suitable conservation programmes. Only with financial assistance from developed countries, or by writing off all or at least part of the debts, can the rainforests be saved. This will not happen overnight. There is too much money at stake, and only strong public feeling in developed countries will lead to pressure being brought against those in control of Third World debt to help rainforest countries. Until this happens, the economic situation will force countries with rainforests to carry on cutting them down. It is estimated that every minute, 80 football pitches of rainforest are destroyed! Each day, at least one species of animal or plant becomes extinct! There is little hope of preserving all the remaining rainforests exactly as they are today. Parts of them should be protected absolutely, but others can be used to benefit man as well as other species. There is no reason why development cannot harmonise with the forest. In this way we will be able to ensure that the unique rainforests, with their great diversity and importance for the environment, continue to survive. Protected Reserves - No deforestation should be allowed in protected areas. Forests with the greatest variety of species or with rare species should be strictly conserved. Originally, about 14% of the world's land was covered in forest - today it is about 6%. Only about 8% of this forest was under protection in 1996. 12% of the world's forests were designated as protected in 2010. It is thought beleive at least 20% of all remaining rainforest needs protection. Careful Wood Production - It is possible to cut down prime trees for timber without causing too much damage to the surrounding forest. If there are only three or four suitable trees in a given hectare, it ought to be possible to remove them using a large helicopter. This method is already used in the needle-leaf forests of the United States. Any trees which are removed should be replaced by seedlings. Agroforestry - A combination of forestry and agriculture. It has been used successfully by tribal peoples for centuries, and involves planting trees, shrubs and ground crops in a gallery structure, imitating a natural forest. Species Preservation - Plants and animals can be taken from the rainforests and bred in zoos, botanical gardens and laboratories. Captive stock can be reintroduced to areas where they have become scarce. Golden lions tamarins have been successfully released in a reserve in Brazil. Efficient Land Use - More food can be grown on existing farmland if better farming methods are used. Land in Europe could be used to grow animal feed instead of importing it from abroad. This would not produce enough for all the intensively farmed animals but would be a solution if people ate less, but better quality meat from animals reared more naturally. Recycle paper and buy recycled paper products where possible, including toilet paper! Look for the FSC (Forestry Stewardship Council) logo on wood and paper products which shows they have been sustainably sourced. Buy fairly traded products - producers must provided assurances that they are looking after their local environment and are educated to do so. Buy an acre of rainforest or sponsor a rainforest animal such as an orangutan. Buy British beef. If its free range and organically produced, its less likely to have been fed soya, especially from rainforested areas which can also be genetically modified. Eat less meat and dairy! 18% of the world’s greenhouse gas emissions come from meat and dairy production (which often involves the destruction of rainforests) - that’s more than all the world’d transport out together! Eat less meat ! The demand for meat is growing with an increasing global population and an increase in those who can afford meat. In the UK the World Health Organisation estimates that on average people eat 3.5 times more meat than is good for them. Less meat would mean less intensively farmed animals and less need for soya! If you use soya products such as milk, check with the manufacturer where they got their soya from and if it was sustainably produced. Campaign! Write to your MP about where our animal feeds come from, ask supermarkets and food manufacturers where they source their soya and palm oil from. Other environmental campaigning organisations can advise on what to write and who to write to. Birds, bats, bees, butterflies and moths all play an important role in the reproduction of rainforest plants. In most ecosystems, the pollen is carried from one plant to another by the wind. In a rainforest ecosystem, however, there is hardly any wind at all, so the animals are vitally important for plant pollination. What adaptations have rainforest plants and animals evolved to help with pollination? Some species of monkeys, bats and birds are very important seed dispersers. Even some species of fish are responsible for dispersing seeds! The plants produce large numbers of seeds and hope that at least some of them will be spread around the forest and end up in suitable places for germination. Without animals' help, this spreading around of the seeds would not be possible. How do plants attract the seed-dispersing animals? Describe how different types of animals manage to disperse seeds around the rainforest. As in other ecosystems, most rainforest animals are herbivores (they eat plants), but some of them are carnivores and eat other animals. The animal predators come in many shapes and sizes, and include spiders, insects, amphibians,reptiles, birds and mammals. The largest predators, which are at the top of the food chain, are known as indicator species. These predators, such as the jaguar of South America and the tiger of India, need a lot of living space, and if an area of forest has a healthy population of such animals, then we can be pretty sure that the whole forest community is doing well. Any destruction of forest habitat, or a decrease in numbers of their prey will affect the population of large predators. Choose one of the groups of predators mentioned above, and find out details about where they live, their way of hunting, their prey etc. Construct food chains, and perhaps a food web, which include the predators you have chosen. World Wildlife Fund (2015),Threats, Deforestation [online], Available from: https://www.worldwildlife.org/threats/deforestation [accessed 21/07/2015]. Global Forest Resources Assessment 2010 (2010), Main Report [online], Available from: http://www.fao.org/docrep/013/i1757e/i1757e.pdf [accessed 21/07/2015].